I’ve taken some new responsibilities at work. You know work. The things that provides money to pay bills, health and dental insurance, and a retirement account. Yes, that work. These new responsibilities come with additional pay (yay! ), but also additional time (how dare they?). They have seriously cramped my non-profitable but creatively-stimulating blogging time. Consequently, I’m scrambling to keep up with the blistering pace of posting once a week. Here, to fill the void, are the crazy, but potentially entertaining bits and pieces that I’ve shared on Facebook and social media as of late. You may have missed these gems, what with the insane Facebook algorithm that deems who is worthy (or not) of seeing my posts, plus with your own life going on and all that. Confession: I’m still praying! She hasn’t made up her mind yet whether she wants to do it or not. Who thinks I should give her $20 NOT to do it?! Now it’s your turn. What’s going on in your life? Anything new or funny? Good for you for working out, parenting AND blogging! 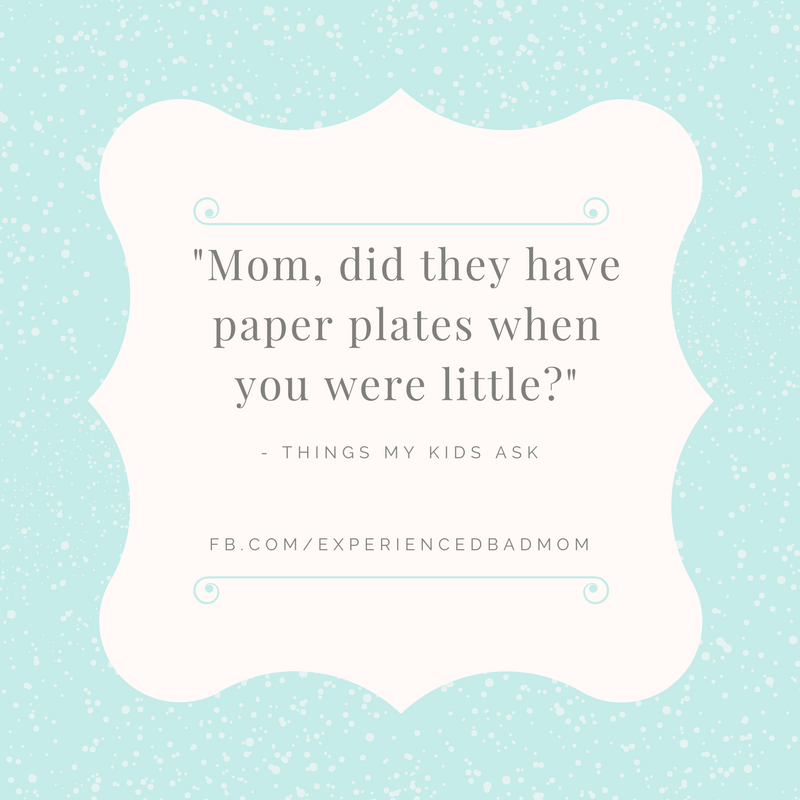 Did they have paper plates when you were little? 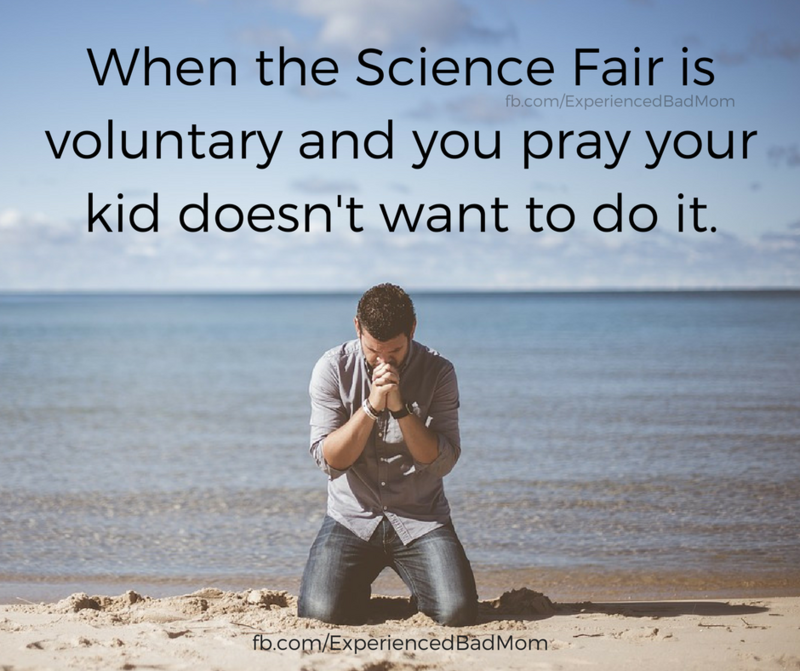 Okay, two questions: one, how do you embed FB posts in a blog, and two, participation in the science fair is OPTIONAL in some grades/school districts?? 1. I Googled it for WordPress. I can’t remember the exact place I found out how to do it, but it wasn’t terrible and even I, sorely lacking in tech expertise, was able to do it. Good luck in your new swivel chair and top hat! I’m on sabbatical from my whole life at the moment, and still cannot find the time to blog.